THE State Government yesterday hit back at criticism of its Fraser Island dingo management policies, with an early morning raid on the home of Rainbow Beach wildlife writer and photographer Jennifer Parkhurst. The 7am raid was followed by a six-hour intensive search of Ms Parkhurst's two-bedroom home and confiscation of computers, drives, cameras and records of her forthcoming book on the plight of what is widely seen as among the last and endangered pure strains of the Australian dingo species. Minister Kate Jones yesterday referred media inquiries to her department, which issued a statement confirming the raid had occurred. The raid yesterday sparked threats of protests by dingo advocates, allegations of “storm trooper” conduct and Opposition calls for a full public inquiry into allegedly “disastrous” island management policies. An outraged Shadow Sustainability Minister, Glen Elmes, said the government's actions were more suited to Nazi Germany than 21st Century Queensland. “I know Ms Parkhurst and I know her to be a person who cares very deeply about the health of Fraser Island and particularly the wellbeing of its dingoes,” he said. POLICE and officers of the Department of Environment and Resource Management raided Ms Parkhurst's home under a warrant indicating she is suspected of photographing and otherwise interacting with dingoes without departmental permission on an unspecified date between July 5, 2007 and June 29, 2009. A little known provision of the RAM Act makes it illegal for anyone, including news media, to take pictures for gain without government permission and specifically prohibits any recording of the activities of Queensland Parks and Wildlife Service officers. A shaken Ms Parkhurst said yesterday the government agents had searched her home for six hours. She said this had not happened even to people proven to have fed dingoes and that, once, dingoes interacted freely with people and were not dangerous. “They were fed, they had their pups under people's houses and they did not attack people,” she said. Gympie MP David Gibson yesterday accused the government of attacking fundamental civil liberties. “Queensland has taken a turn for the worse under Anna Bligh. “You don't send storm troopers to raid people's homes because you don't like the research they are doing,” he said. “She is on record for photographing dingoes over a long period and now they are concerned about it? “This has less to do with dingoes and more to do with a government seriously embarrassed about its failure to properly protect the dingoes on Fraser Island. 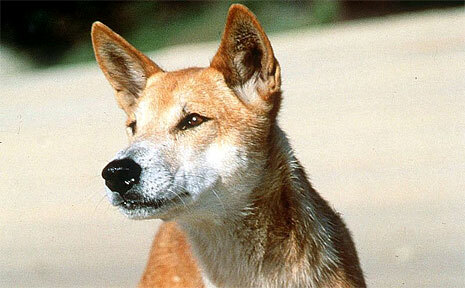 “Dingoes were a big part of the rationale for the island obtaining World Heritage listing,” he said. Mr Elmes said he was outraged and would pursue the issue in Parliament. “Given that she is a photographer, it is not surprising that she takes photographs. “An Australian taking pictures in Australia is something I would have thought should be allowed in Australia, as should the open expression of opinions about government policy. “But in return for that she got a visit from the Gestapo,” he said.